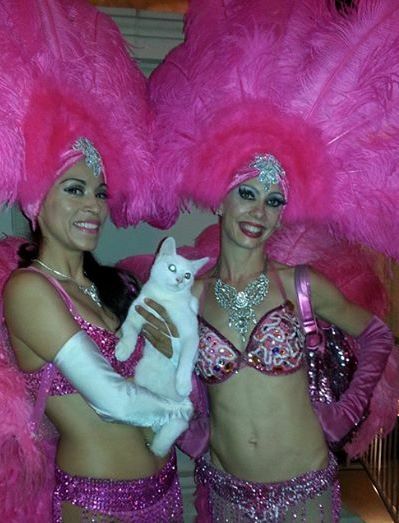 StovePipeCat was rescued from death row within minutes of execution and has proven to be an extraordinary and confident cat that loves travel, sports bars, and being in front of a camera. The Almost Invisible Cat Litter Company has created the StovePipeCat Volunteer Appreciation Program in honor of Joan and Pat, his heroic rescuers, as means to thank and show appreciation to the thousands and thousands of animal care fosters, care providers, rescuers that volunteer and unselfishly give their time and effort to help all types of animals. 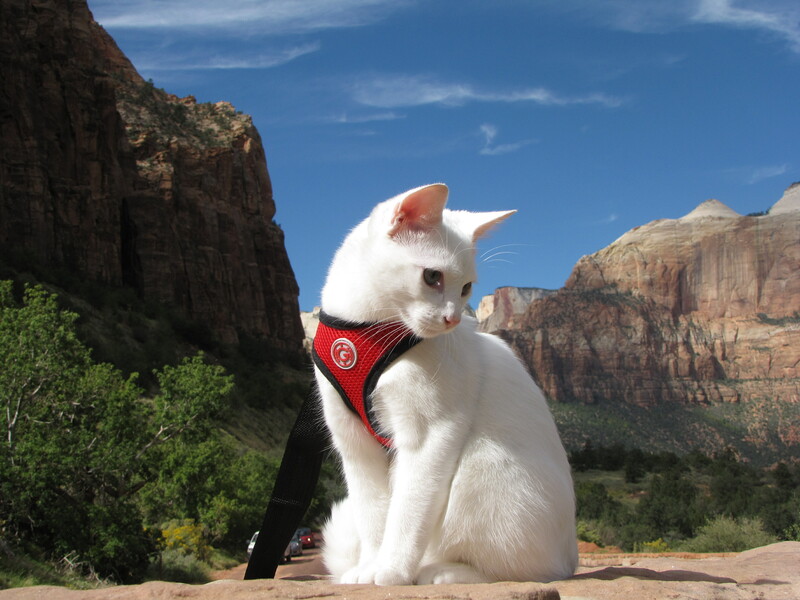 Below is a very humble and appreciative StovePipeCat in Zion National Park. The Almost Invisible Cat Litter “StovePipeCat” Volunteer Appreciation Program is a totally free program for available only to 100% no-kill, non-profit, animal charities, fosters, shelters and rescues. Up to 4 times a year we will provide a volunteer that you select, 15 pounds of Almost Invisible Cat Litter and $50. Additionally, your organization will become a recipient of the “StovePipeLine” which flows cash and our G Awesome pet products to you organization as often as we can. 4) Announce via email or newsletter to your volunteers that you have affiliated with the Almost Invisible Cat Litter “StovePipeCat” Volunteer Program. Announce the dates that the Volunteer will be recognized (must be more than 1 week prior to the event). 5) Announcement emails must include links to Almost Invisible Cat Litter and StovePipeCat links and marketing materials that we provide. 6) G That’s Awesome Brands and Almost Invisible Cat Litter are provided a photo of the Award recipients receiving the Cat Litter prize and G That’s Awesome Brands & Almost Invisible Cat Litter are permitted to use the picture and first name only of the recipient in its future marketing materials.